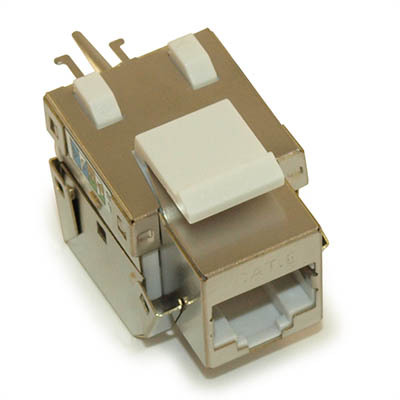 Cat.6 RJ-45 shielded keystone jack is 8-position 8-conductor (8P8C) and designed for computer networking. It is engineered to provide full shield protection and reliability, supporting up to Gigabit Ethernet applications. 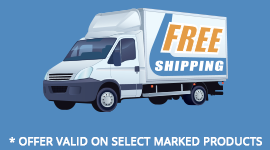 The advanced printed circuit board design is tuned to provide optimum signal quality with maximum headroom, allowing it to exceed TIA/EIA Category 6 performance standards. Use with shielded Ethernet cable. My Cable Mart Keystone WALL-PLATES and INSERTS all adhere to NEMA standards. Keystone insert modules have a rectangular face of 14.5mm wide by 16.0mm high, and are held in place with flexible tabs. 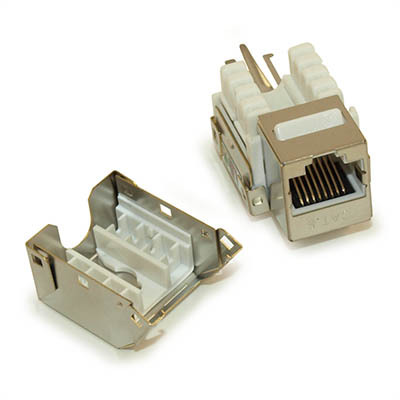 This allows them to be snapped into a mounting plate with correspondingly-sized holes called ports. All keystone inserts, regardless of the type of jack they carry are interchangeable and replaceable. This provides for much flexibility in arranging and mounting many different type of electrical and A/V jacks into one plate.